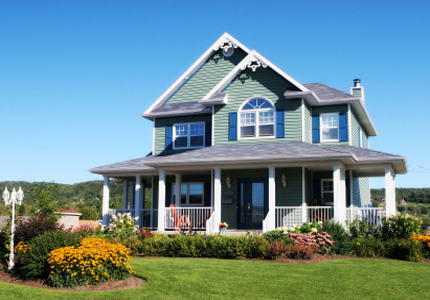 Southgate Fiber Cement Siding | Southgate Cement Siding | Southgate Cement Board Siding | Southgate Cement Lap Siding | Southgate Cement Panel SidingMcGlinch & Sons CO.
James Hardie fiber cement siding is available in the Southgate and surrounding areas from McGlinch & Sons. Cement panel siding and related products come with a 30-year warranty and will bring a lifetime of value and added beauty to your home. Available in a variety of modern colors and versatile finishes, fiber cement siding delivers the perfect combination of beautiful design with high performance. Outlasting other traditional siding options, our cement lap siding and cement board siding will astound you in both curb appeal and durability. Providing quality products and customer satisfaction since 1917, McGlinch & Sons is the one to call for guaranteed satisfaction! With a growing reputation for innovation and quality, the middle-class suburban city of Southgate, Michigan in central Wayne County is a desirable, vibrant, and progressive community with just over 30,000 residents. Located just nine miles south of the city of Detroit, and conveniently located near the Southgate Metro Airport the neighborhoods are safe, pleasant communities with diverse and involved citizens. Proudly serving the Southgate area with James Hardie fiber cement siding are the experts at McGlinch & Sons. Our service and selection can’t be beaten. Custom styles and the most extensive variety of color options in cement siding found anywhere! Life can be full of surprises, but with cement lap siding and cement board siding your home doesn’t have to pay the price. McGlinch & Sons offers only the best in cement siding that resists rotting and cracking from the elements, and all forms of pests. Fiber cement siding protects your home from even the worst snowstorms, UV rays, and tornado-force winds. In comparison to traditional siding products, cement siding delivers the longest lasting value and satisfaction to our customers. Call McGlinch & Sons today at (248) 987-6300 to find out how easy and affordable installation of fiber cement siding for your Southgate home can be.